During his presentation he repeated the claim initially made by the Tokyo Electric Power Company (TEPCO) that the cause of the Fukushima disaster was the unexpected size of the tsunami. The official Fukushima report submitted to the Japanese parliament stated that the primary cause “was the result of collusion between the government, the regulators and TEPCO, and the lack of governance”. The report also concluded that “There were many opportunities for taking preventive measures prior to March 11. 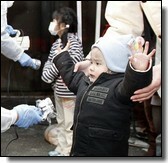 The accident occurred because TEPCO did not take these measures…”. Which was it, Mr Nomura? During question time he was asked by Peter Becker from South Africa if he disagreed with the official report. He replied that he did not disagree. But of course, since Nomura works for the agency that was identified as responsible for the regulatory failure, he found it desirable to point towards another cause by stating in his presentation that the ‘unexpected’ tsunami was the root cause. Or, as some would describe it, he chose to lie. Nomura also make a statement about the costs of nuclear power relative to renewable energy. He claimed that for Japan, the cost of nuclear power, including the cost of decontamination after the Fukushima disaster, was one-quarter of the cost of renewable energy. This is a ludicrous claim, for several reasons. Firstly, the cost of cleaning up after Fukushima is unknown, since the process is far from complete. The decontamination techniques being applied are also experimental, and the long-term success of processes such as removal of 5 cm of topsoil and high pressure spraying of houses are still unknown. In terms of building new generation capacity, nuclear power is now more expensive than coal or wind power. The Medupi coal-fired power plant in South Africa has experienced cost overruns which have pushed the official cost to R0.97 per installed kWh. Also in South Africa, independent power produces have bid to feed wind power into the grid at a cost of R0.89. Famously, the CEO of General Electric has said that nuclear power is hard to justify in economic terms… that is, it is more expensive than other technologies. The South African Integrated Resource Plan, developed in 2010, omitted new nuclear power from its least cost scenario – that is, nuclear was more expensive that the renewable options. So the truth is that without taking into account any clean up costs at Fukushima, wind power is cheaper than both new nuclear power and coal power. What is the cost of human suffering due to the forced evacuation of over 170 000 people? What is the cost of suicides which resulted from the radiation contamination, such as the dairy farmer from Iidate village, who had to slaughter his dairy herd? What is the cost of school children who are not allowed to play outside due to caesium contamination hotspots? Mr Nomunra seems to attach zero value to this human suffering. As remarkable as Nomura’s outlandish claims, was the silence of the assembled scientists in the room. To stand by while such unscientific and plainly false claims are made in public is, at best, ethically questionable. How can one justify standing by in silence while a colleague sprouts such nonsense? The Japanese nuclear industry – where is the honour? How has it come about that Japan, with its culture which values honour so highly, allows someone as morally destitute as Mr Nomura to hold office there? This willingness to be creative with the truth is not limited to the Japanese ‘nuclear village‘. The nuclear power industry in Sweden is not above a bit of deception. This is clear from the refusal of SKB to release results from its research on the corrosion of its proposed copper canisters for the disposal of spent nuclear fuel. 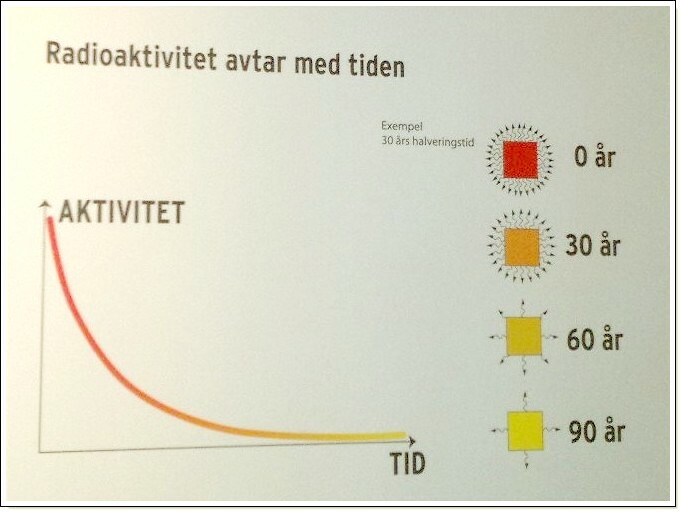 It is also clear from a graph on display in the visitors’ centre at the Forsmark nuclear plant, north of Stockholm. This graph shows how radiation of the spent fuel decreases over time, and it seems to show that after 90 years or so, no radiation remains. The graph also seems purposefully vague, with no label or scale shown for either axis. What is the truth about nuclear spent fuel? 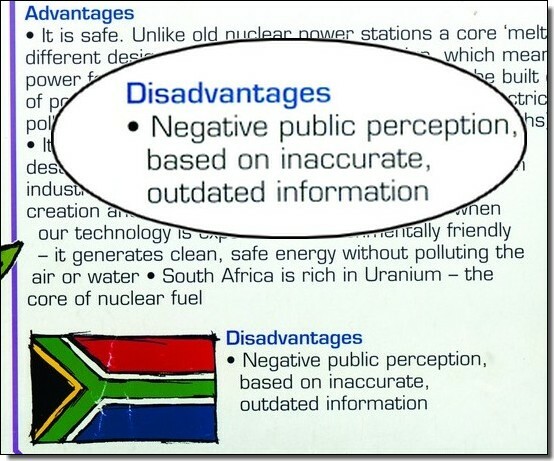 All over the world, the nuclear industry appears to use deception. Instead of being convincing, this just poses the question… if nuclear power is such a good option, why lie about it? This entry was posted in Government, International, Nuclear waste and tagged deception, forsmark, Fukushima, Japan, nuclear, sweden, Vattenfall, waste. Bookmark the permalink. Thanks for highlighting truths that should be known by everyone.